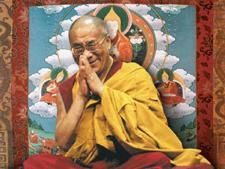 His Holiness the Dalai Lama: My daily prayer is the source of my inner strength. December 25, 2018. Shishir Gupta, Hindustan Times Dec 25, 2018. On the outer periphery of Mahabodhi temple in Bodh Gaya in Bihar, a mere few hundred steps from the Bodhi tree under which Buddha attained enlightenment more than 2,000 years ago, the 14th Dalai Lama prays and meets his followers in a monastery behind an iron security curtain. Inside the temple, Trinley Thaye Dorje, the co-claimant along with Ogyen Trinley Dorje for the title of 17th Karmapa or head of Karma Kagyu school, is preaching to his followers from all over the world on Buddhism. The 17th Karmapa will become the key leader of Tibetan Buddhism in case the 14th Dalai Lama dies without reincarnation. 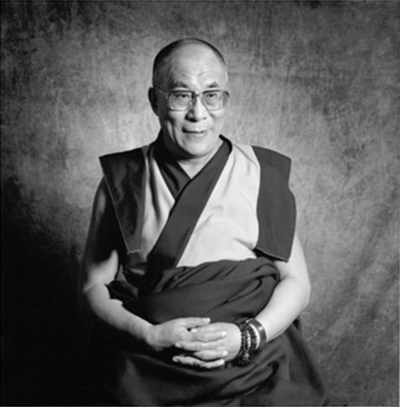 The two religious leaders have no common ground because the Dalai Lama, like China, recognises Ogyen Dorje, who left India for the US in May 2017 and acquired citizenship of Dominica in March this year, as the real Karmapa. But how will people under stress in Tibet decide whether the institution of Dalai Lama should continue ? Has your middle way approach with China worked? Is it going to benefit Tibetans at all? There are media reports about Dr Lobsang Sangay, President of Centralized Tibetan Administration (CTA) often disregarding the advice of the 14th Dalai Lama. How is your relationship with him? No. As he is the head of elected political leadership, all decision-making is in his hand. I have never tried to control the political leadership. But in the meantime, he believes me and trusts me. There are some small rumours. Will Ogyen Dorje return to India? We are told that the 17th Karmapa claimant is putting conditions to Indian Government for his return? That I don’t know. Most probably, I think he will return. I recently had discussions with the Ministry of External Affairs and told them that it is between the government of India and Ogyen to decide. I have no problems. It is his business. Not an important matter. There is no question of the Tibetan movement splintering in this context. Are you looking forward to a pilgrimage to China? Yes. Sure. As far (back) as 1954, I expressed my desire to Chinese government to visit Wutai Shan, the home of 13th Dalai Lama. I was told that there was no road. I still have that desire but it is up to the Chinese government. Once a high Tibetan lama wanted to go to Bodh Gaya but his disciple said that the real Bodh Gaya is in your heart. Historically, the Wutai Shan is seat of Deva of wisdom. Whether I am there physically or not, that wisdom from the Deva is already in my brain….very sharp. Is there any back channel open with the Chinese for resolving the Tibetan issue? After we decided not to seek independence from China in 1974, Chinese leader Deng Xiaoping decided to have a direct contact with us through my elder brother and the dialogue started in 1979. We sent four fact finding missions to Tibet from 1979 but the dialogue ceased with the death of Deng in 1997. The official dialogue again started under President Jiang Zemin in 2002 but ceased in June 2010. Since then there is only an informal channel open with Chinese retired officials and private businessmen coming to see me from time to time. And they have some connection with the top leader. The Chinese are not in touch with the CTA. We never used the word Tibetan Government in exile. It is the Chinese who have used this and recognized them (he laughs). Of late various heads of government refuse to meet you fearing the reaction of a now all-powerful China? What is your reaction to it? I have nothing to ask from any head of state or country. I think they are afraid of the Chinese reaction. I met Barack Obama as former US President and Nobel laureate as also late President George Bush Senior. My visit to Sri Lanka was cancelled at the last moment. I have not visited Thailand since it established diplomatic relations with China. I am never allowed into Buddhist countries because I am a Buddhist (he laughs) except Japan. Any plans to visit the US and meet President Donald Trump? No because of my physical condition. Normally, I used to go to the US annually for medical check-up. One Indian doctor found traces of prostrate cancer at the Mayo Clinic in USA. A team of 10 doctors discussed and ruled out surgery due to my age and side effects. Instead, I got radiation and have been completely cured of the disease. I have not travelled to US in the past two years as it is too far and I cannot handle too much physical exertion. So instead of going to the US for treatment, I go to a private hospital in Delhi. US President Donald Trump has just signed “ The Reciprocal Access to Tibet Act 2018”, which allows the Tibetans to return to their homeland or else the Chinese officials stopping them face sanctions. What is your reaction to this? The present president of the greatest democratic nation is little bit unpredictable. So I am in no position to comment on this as I do not know enough. But both the US houses have been strong supporters of Tibet over the decades and so has been the American government. American people love Tibet. What is your reaction when you were asked to shift “ Thank You India” event to mark 60 years of your exile in New Delhi to Dharamshala in April? The Indian government tried to avoid any obstacle to their relations with China. That is understandable. That is OK. I was not unhappy. Not much. Nothing. Basically, our relations with India are centuries old since a Nalanda master introduced Buddha Dharma in Sanskrit tradition in the 8th century. My body is Tibetan but spiritually and mentally I am an Indian. Today 10,000 monks and now nuns are studying in Nalanda Buddhist traditions with total freedom and not under any restricted environment in Tibet. Will you or your people ever be able to return to their homeland Tibet? India is the only place where modern education meets ancient knowledge, which is needed to tackle emotions. I am committed to reviewing the ancient Indian knowledge to tackle emotions. For these things freedom is very important. My return to Tibet is of no use if there is no freedom. I prefer this country and this freedom and then I am the longest guest of India.